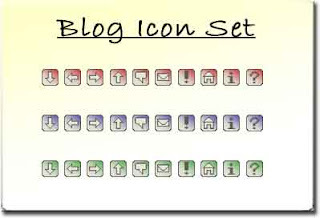 Here are three sets of blog icons I designed while working on the new template for this site. There are 10 icons in all in red, blue and green color schemes, each against a transparent background for use in any color scheme. These icons are all in .gif format to ensure that the transparency is compatible across all major browsers. Feel free to use them in your templates and websites, or to modify them as you wish. However, please do not redistribute these icons without also including the license document in the file.